SAO PAULO (CNS) — Church representatives working with immigrants and refugees criticized Brazil’s planned withdrawal from a global agreement to safeguard migrant people. The Brazilian bishops’ conference and a priest who directs a migrant studies center that assists migrants said the decision disregards the needs of people fleeing violence and poverty in their search for safety and comfort. Brazil’s Foreign Ministry sent a telegram to its diplomats Jan. 9, asking them to inform the United Nations about the country’s withdrawal from the Global Compact for Safe, Orderly and Regular Migration. The compact was signed by 164 nations, including Brazil, in December. Jair Bolsonaro, sworn in Jan. 1 as Brazil’s new president, pledged before his inauguration to withdraw the country from the agreement. Austria and the United States are among countries that have announced they would not participate in the pact because it places constraints on national migration policies. “We are returning to a time when immigration and refugee flows were seen as a national security issue and not a human rights issue,” said Father Paolo Parise, director of the Migratory Studies Center, an entity that includes Mission Peace and the Migrant House in Sao Paulo. Through the years, Mission Peace and Father Parise has aided hundreds of refugees who arrived in Latin America’s largest city. 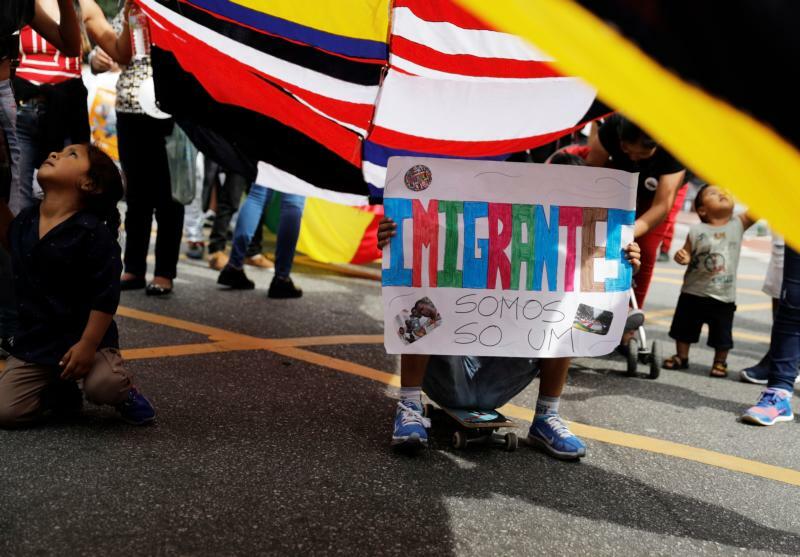 In the last year alone, the program, run by the Scalabrini International Migration Network, hosted dozens of Venezuelan families fleeing the political and economic turmoil in their homeland. Mission Peace has helped refugees obtain Brazilian work documents, find jobs and housing and get the children enrolled in school. For Father Parise, the withdrawal has a “symbolic value” and may have affect the way Brazilians view refugees. “This will reinforce the perception by a part of the population that see refugees and immigrants as a threat,” he told Catholic News Service Jan. 10. Father Parise said he believes the withdrawal will cause more harm to the 3 million Brazilians living abroad, many illegally, than to the immigrants and refugees who seek shelter Brazil. “When I worked in Rome, between 2008 and 2009, I met many, many Brazilians living in Italy and throughout Europe. A lot of them had expired visas and were not legally able to work,” he said. For the Brazilian bishops’ conference, the global pact was a positive outcome following three years of negotiations among the world’s nations. “We are leaving an important global dialogue,” said Roberval Freire, who works at the conference’s Migration Pastoral office. “Regrettably and erroneously, the new government abandons this tradition (of hosting) and rejects the global migration pact,” he said in a Jan. 10 statement. The statement said the migration office regretted that the new government sees the act as a threat to Brazil’s sovereignty.